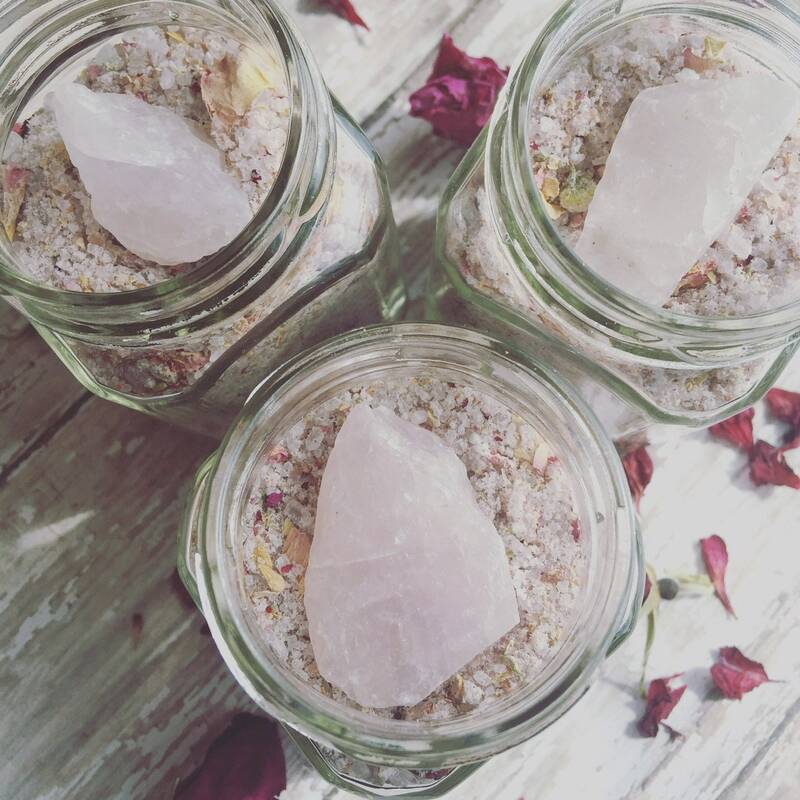 This Beautiful bath soak is meant to enhance your vibration. Enjoy this enchanting soak during a new moon phase to attune to feminine and creative energies. Filled with lavender, Roses, and Geranium’s to restore your love, and compassion for yourself & those you love. Epsom Salt, Himalayan Salt, baking soda, Lavender Flowers, Rose Petals, Geranium Petals, Essential oils: Rose absolute, Rose Geranium, Lavender. 1 Rose Quartz crystal.